While many people are celebrating in the month of December, it can be an emotional time for some, especially if you’ve recently been riding the solo train in the relationship department. Having someone to share this season with is a great feeling, but it’s a great time to be solo as well. Here are Divine’s top things to dive into (and what not to do) during the holiday season to bring you the Christmas cheer you crave! Remember: when life gives you lemons, make delicious gingerbread cookies with lemon glaze. Some couples go overboard when giving a gift; as this doesn’t presently apply to you, use that money to spoil yourself and a friend. Feel free to book a massage, call the spa or head out of town for a day or two and put the holiday cheer and focus into your current relationships that matter to you most. Don’t focus on what you’re lacking if you don’t have a partner – find a partner in your life today who deserves the best of you. 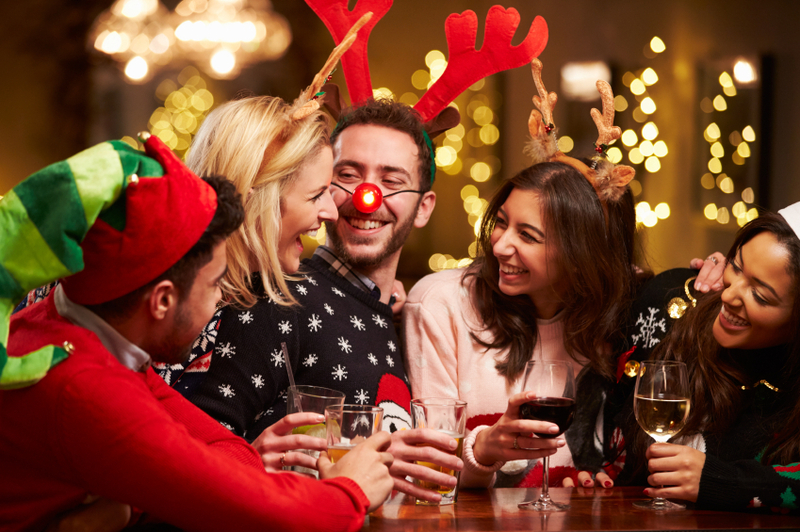 Alcohol is a depressant, so if you’re prone to being the “emotional drunk” at the party or you feel it coming on, try and limit your intake this season. If you’re likely to slur and cause a scene, let your friends know and they can support you and save you from drunk dialing or texting your ex – we all know the day-after shame is not a great look. Having a drink or two at a party is fine – just keep things in moderation. Don’t be afraid to have a festive drink sans alcohol. It’s a fact that helping others makes humans happier and healthier – and it’s also a good reminder of how great your situation is and how lucky you are. By acknowledging that you are very fortunate to have your basic needs met and choose to help others during a designated cheerful season, you can derive a ton of intrinsic value from the experience. Volunteer at a soup kitchen, spend time with the elderly who may not have a lot of family or friends, sponsor a family in need or support a fundraising event/charity. A little goes a long way, so help make a difference this December and you’ll feel your best. Many of us whip out the sweatpants this season to make sure we can expand our drawstring to suit our turkey and cranberry cheesecake intake. Yes, your new-year’s resolutions are being made as you eat that second piece of cake, but make sure your intentions are aligned if you choose to stuff your face; this is a great time to celebrate with friends and family, but if you find you’re ordering a lot of take-out holiday specials from Harvey’s and eating at home solo, you may need to re-evaluate your health goals. Make sure you’re not feeding your emotions; stay balanced between your emotions and calories this holiday season. Many of us get a fair amount of holiday time off so make use of it. Whether it’s a wine tasting, mountain biking, painting or skiing, figure out what gets you excited. Better yet, cultivate a list of things you’ve been putting off and pursue them. December is a great time to live your bucket list. When you’re feeling down, it’s important to think about things that make you happy and engage in activities that interest you and you will discover the magic of the season. Holidays aren’t meant to be cheerful and bring you joy – both of which are entirely possible with or without a partner. So make the most of this season and do all the things you want to do, with the people who are in your life today. Contact us for more information on how to celebrate this holiday season!